Ever since I glimpsed a pre-production copy of The Byzantine Tarot at a meeting with druid friends at a cafe in the depths of winter, I've been eagerly waiting for it to come out. It just has, and the finished product is gorgeous. 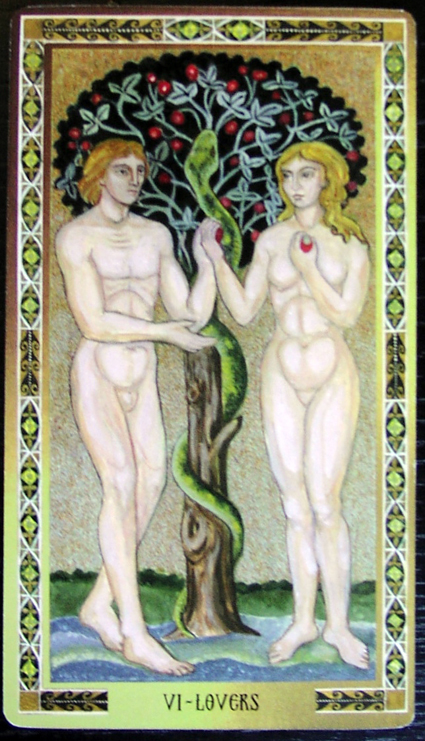 The Byzantine Tarot is by artist Cilla Conway, who previously created the Intuitive Tarot and the The Devas of Creation, and John Matthews, co-author of The Wildwood Tarot , The Steampunk Tarot: Gods of the Machine and several other famous tarot sets and oracle cards. The Byzantine Tarot has the subtitle Wisdom from an Ancient Empire. It does seem full of ancient symbolism. The great Byzantine Empire was a melting pot of cultural influences. It grew out of a mingling of Pagan and Christian traditions and Eastern and Western thought. It evolved into a rich and convoluted society as well as being one of the most powerful empires in the world, following the decline of Rome. Knowledge, learning and the arts thrived, yet the word Byzantine is also synonymous with political intricacy and chicanary. There are suggestions that the earliest tarot cards may have been Byzantine. An incomplete set of cards from the 15th century, known as the Mamluk Tarot, have an Eastern style of artwork and date from the time when the Byzantine Empire fell. Although the Mamluk Tarot consists of abstract art – consistent with the Muslim prohibition of images of people – Eastern Orthodox Christian churches became resplendent with iconography. There are beautiful mosaics and frescoes showing saints and biblical figures. These – as well as the archetypal characters responsible for daily life in the Byzatine Empire – have inspired the artwork in this new deck. It feels like an ancient set of tarot reborn or at least re-imagined. There are a few differences between the symbolism in The Byzantine Tarot and the commonly used Rider Waite set. To start with, the suit of swords represents the element of fire while staffs represents air. This is the opposite way around from the Rider Waite, but is more consistent with some earlier decks. In the Major Arcana, the High Priestess is represented by Sophia, the Wisdom of God and the Guardian of Byzantium. The Tower is portrayed as the Tower of Babel, but also shows the figure of a hermit monk, St Simeon, who sits at the top and seems to slightly soften its normally catastrophic meaning in readings. The images are far more Christian than is common in many tarot decks. This is hardly surprising – the Byzantine Empire was a Christian Empire at its time of greatest power and influence. The Star shows the nativity scene, while Kosmos – the World – shows Christ himself. Yet subtleties in the images show the pagan roots of many of the stories and reflect the complex background to the Byzantine Empire and the history of tarot itself. I've been using the deck every day since I got my copy and am delighted with it. There always seems to be a wealth of meaning to find in the cards and the artwork is stunningly beautiful. 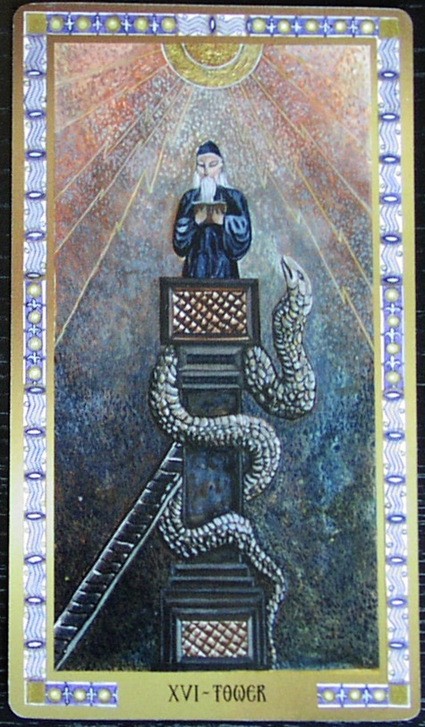 The Byzantine Tarot: Wisdom from an Ancient Empire can be ordered via Amazon or via http://www.hallowquest.org.uk/.